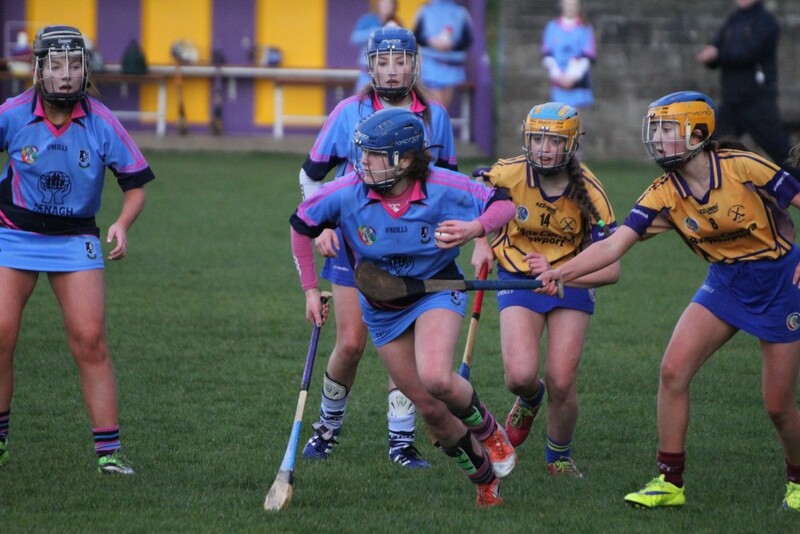 On Tuesday March 29th, our under-16 camogie side made the trek to Newport for the opening match in this year’s championship and were unfortunately on the receiving end of a 2-11 to 1-3 score line which belies the true nature of the game. With seven minutes left on the watch of referee Stephen Egan only three points separated the sides, however a late scoring burst from the hosts saw them rattled off 2-2 and ended any hopes Nenagh had. 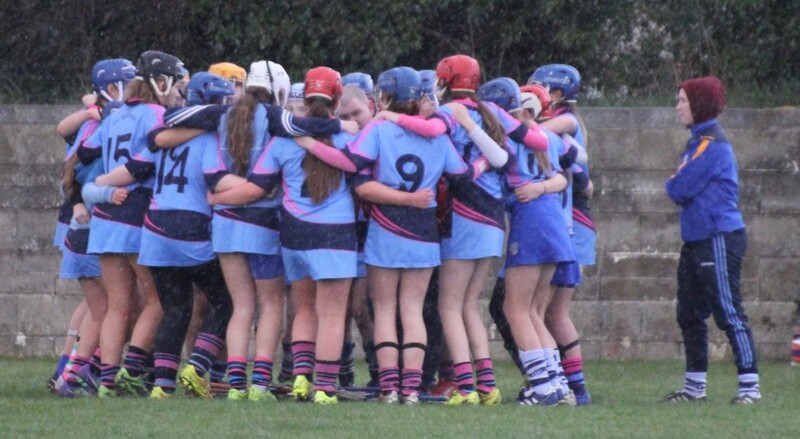 The game was marred by a torrential downpour moments before throw in and it continued until mid way through the first half making the underfoot conditions impossible for the players however it failed to dampen the enthusiasm of the girls who put on an entertaining hours hurling for those present. The home side started brightly and had four points on the board by the 17th minute and things looked like they were going to get a lot worse for the Blues when Newport created an excellent goal chance but Niamh Sheridan in the Éire Óg goal produced a magnificent save. Indeed, Sheridan had a fine game making a second solid save on 45 minutes and she looked comfortable dealing with highballs and made some excellent deliveries with her puck outs. Nenagh’s opening score came on 23 minutes following a great run by Leah Kelly. She was fouled just outside the 21-yard line and up stepped Caroline Browne to take the resultant free. She shaped as if she were going to point it but instead blasted a low shot that gave the Newport backs on the line no chance. Newport responded with a point of their own before Leah Kelly treated the crowd to the score of the game. 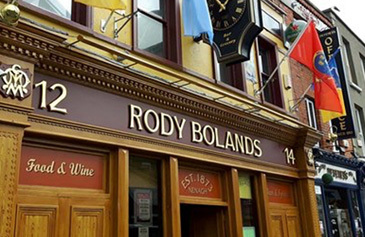 She raced 30 yards in what looked like the pursuit of a lost cause but eventually got to the 14-yard line right out on the sideline to spectacularly block down the Newport back before scooping up the sliothar and splitting the post from the tightest of angles. The halftime whistle sounded shortly after, leaving the scores at Newport 0-5 Nenagh Éire Óg 1-1. Newport started to dominate the second half and shot four unanswered points to open up a five-point lead by the 47th minute. Ella Carey responded with a fine point after great work from Megan Grace. Becky McGrath won possession out near midfield and delivered an inch perfect pass to Caroline Browne who narrowed the gap to three and it looked like we were in for an exciting finish but Newport finished the game strongly, scoring 2-2 to end any Nenagh hopes. 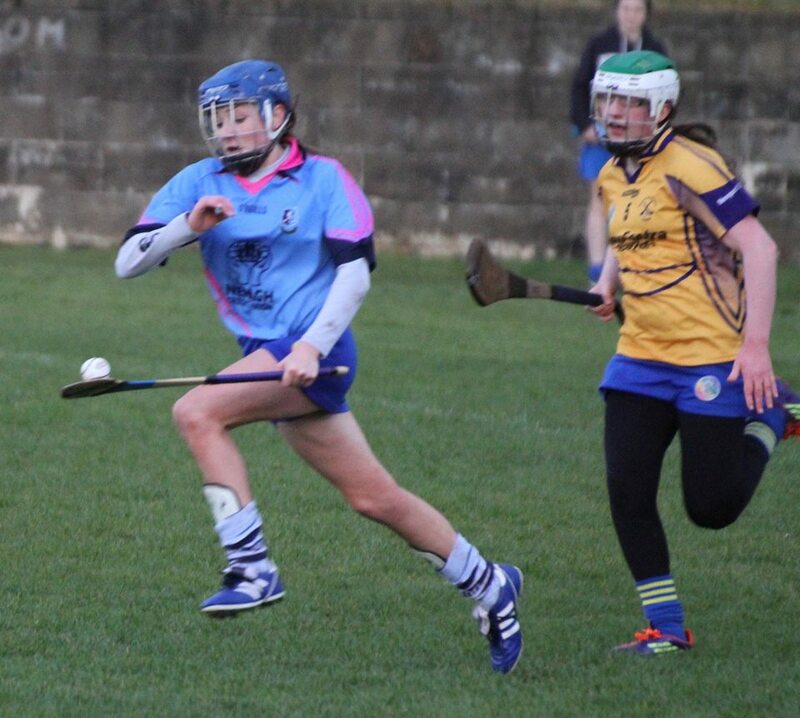 Nenagh: Niamh Sheridan, Eva McKeogh, Abbie Sheedy, Katie Mannicle, Rachel Browne, Lily Purcell, Lily O Brien, Rachel O Connor, Megan Grace, Caroline Browne, Becky McGrath, Leah Kelly, Aisling Moran, Orlaith Kennedy, Ella Carey. Subs Orla Sheridan for Kelly, Meghan Morris for Kennedy, Saoirse Shanahan for Moran.